One of the crucial elements of frugal cooking is ethnic recipes. Many Americans adapted the recipes of Germans, Hungarians, Italians, Russians, etc. to suit their tastes. These were people who were used to living frugally back in their home countries and Americans learned much from their cooking styles. It also started the downward decline in the formerly popular "meat and potatoes" type of meals that were prevalent through the boom years of the 1920's. Hungarian cooking is usually typified by the ubiquitous Goulash, a stew of beef, onion and paprika. While Goulash is tasty in it's own right I much prefer Paprika Chicken (Paprikash). Formerly we had been using a mentally recorded recipe passed down from my great grandparents and while it was good, there was something missing. That something was good quality paprika. Most paprika sold in the US is of inferior quality, having a dull red color. True Hungarian paprika is a vibrant red and has an unmistakeable smell similar to fresh red bell peppers. Getting good Hungarian paprika can be tricky, but not to worry the good Spanish sweet paprika is equal to it. 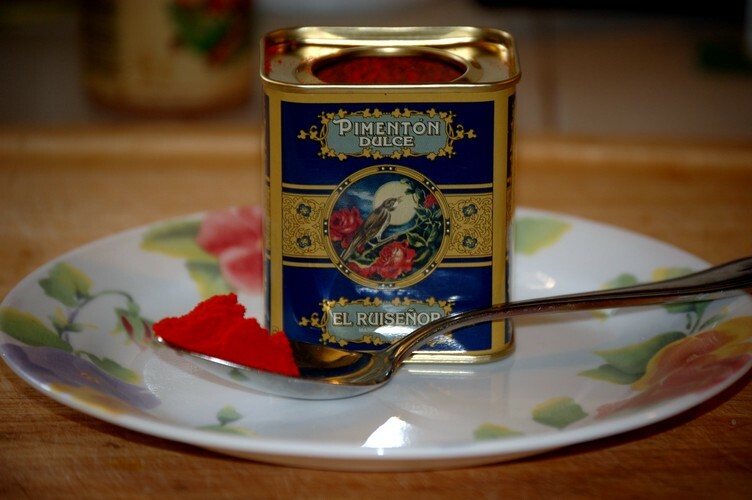 Check out TJ Maxx, Marshalls or Home Goods for tins of Spanish paprika marked Pimentón Dulce this is the really great sweet Spanish Paprika. Also you will need some Hot Hungarian Paprika, it doesn't make the dish spicy but it adds a little kick. Hot Hungarian paprika will be darker in color than the vibrant red of sweet paprika. Cut chicken into 2" cubes. Mix next 4 ingredients in ziploc bag, add chicken cubes, seal and shake. Remove chicken and set aside. Prepare garlic and onion. In bowl mix paprika, ginger, bay leaves, salt and pepper. In large pot heat 1/4C lard over high heat. When hot reduce to med-high and add garlic, saute briefly then add chicken and cook until brown, about 5 mins stirring often. Reduce heat to low and add onions, broth and spices. Stir to mix and cover. Simmer 30 mins, stirring occasionally. In bowl, mix sour cream and cornstarch setting aside in refrigerator. After simmering, sauce should be thickened and chicken tender. Bring back to the boil and add sour cream. Stir continually until desired thickness is obtained. This will be a very saucy dish and the gravy should be of a turkey gravy consistency, thick but not pudding. 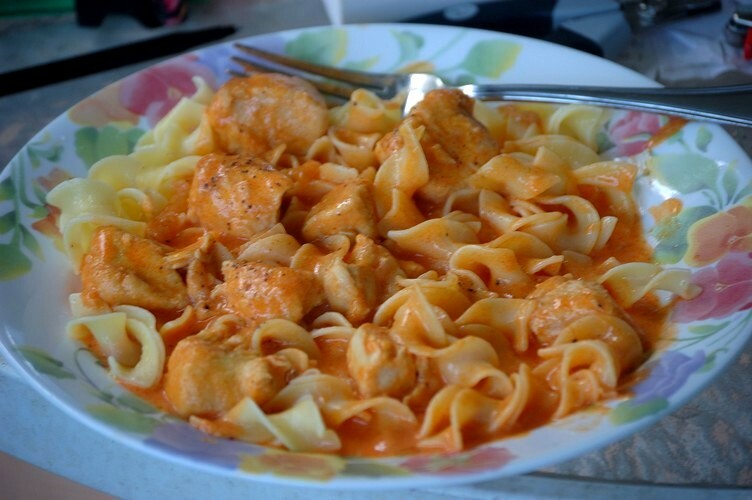 Hungarians serve paprikash over whatever suits their fancy and can change from region to region. Use Rice, Dumplings/Spaetzle, Egg Noodles or Potatoes. *If you can't find Hot Hungarian Paprika substitute with 2tsp sweet paprika + 1tsp Cayenne powder. If you want an extra special kick use Hot Smoked Spanish paprika. **It is traditional to use potato starch in this recipe although potato starch may not be easy to find. If using it, reduce to 2T unless you want a really thick sauce. Likewise if you want a really thick sauce use 4T Cornstarch.